I spent the last 2 weeks with my niece, Mimi. This is our third year spending her Spring Break together at my house. I’m so thankful that we can offer her a positive experience and that as she enters her teens, visiting us is something she is interested in doing. As is our tradition, there was plenty of outdoor time in the garden oasis, home-cooked meals (one of which Master Chef Mimi cooked herself), the most delicious pumpkin pie (that she also made herself with a pumpkin my sister-in-law had grown!!! ), a Twilight watching marathon, a visit to the Monterey Bay Aquarium, and other activities too numerous to mention. Now that Mimi’s family’s yellow lab is living with hubby and me, Mimi was able to get some good quality time with her sweet furry baby. On Mimi’s last night here, I think Lucy the Yellow Lab could sense Mimi’s sadness. That dog licked her for a straight 30 minutes (and I hadn’t witnessed this behavior in the days prior) and followed that with a good grunt-filled tussle. I’d like to think Lucy was saying, “I love you, and don’t worry about me. I’m doing great here.” I’m learning the Lucy is the most amazing therapy dog – she knows when you aren’t feeling the best and gives you so much gentle love. We caught the latest installment of the Divergent Series… entertaining but not as good as the first. An obsession with Walking Dead was born :-\ uh oh and a love of Norman Reedus lol! We were also able to take Mimi to see live theater twice, although I think she loved the mall/girls lunch out more lol. I had her keep a journal like my 365Grateful one. She got into it, too! She dog-sat for us on two evenings and got paid for doing such a good job. She weeded and planted an area of the oasis that has been designated as “Mimi’s Corner.” Then she painted and sealed a beautiful wooden sign for the area. We planted a few bareroot pear trees together. I’m forgetting some of the other things, but I can confidently say that it was an action packed and well-rounded vacation. A nice change from city life. It’s so interesting to see how she changes/matures year to year. Wow she is developing into one sharp cookie. For me, this is a period of time to reconnect with my beloved niece, but it’s also a chance to get a taste of what it must be like to be a parent. Hats off to all you mommies and daddies – the energy required alone is so great! I took one and a half days during her visit to catch up on my stuff. During that time, I was able to craft some cards using new Sizzix stamp sets. These are a few of them. 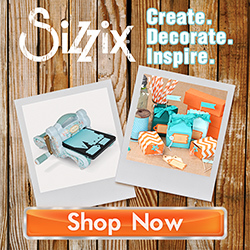 More to see on the Sizzix Blog! I sent one of these off to my Aunt June and Uncle Yet today. Thanks for your supportive comments and experiences with Alzheimer’s that you wrote about on my last post. I agree with you that this disease is so very hard on the caretaker. Auntie June told me the other day how much she and Yet appreciate my cards, and I’m so glad that these little creations can brighten their days. Feeling like this hobby can actually help loved ones in the midst of struggle, well, it makes me want to do it more. Tags: Alzheimer's, cards, handmade, Lindsey Serata, mixed media, sizzix, stamping, tutorial. Bookmark the permalink. Sounds like you all enjoyed yourselves….Loved your cards but I really, really miss your videos…Are you going to do videos again sometime? Love the loose, spontaneous feel of these cards!